Imagine that people like me, working solo, from designer side with a little programming skills could create custom Blueprint nodes and write directly in-editor simple function C++ code; without leading with Visual Studio (just one time installation) and complex C++ header declarations and function declaration, all managed by the blueprint editor. Wait, I made my research first, I know we currently can create custom nodes and classes and is actually very handy (for C++ programmers). 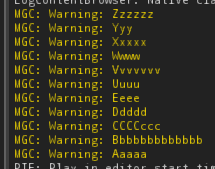 Also I know there is an experimental Code Editor plugin. This facts just prove me that what I'm suggesting is theoretically possible. Just need to know if more people and Epic staff thinks this will be useful for all. Currently the easiest way I found to create a simple math function or loop in C++ and expose the node for blueprint was making an awesome Blueprint Function Library (was super-cool). But I spent big time figuring out how to correctly declare the functions and parameters in the header file. Imaging all this declaration part and source files generation could occur under the hood. 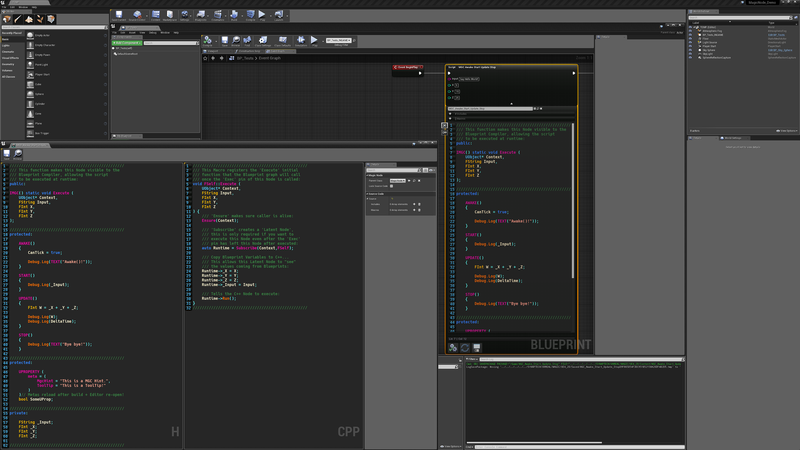 - You declare a Blueprint function using the editor as commonly you do; creating inputs and outputs parameters. - You set that this function will be implemented with C++ code instead of nodes. Automatically UEditor will create all necessary declaration for you as a Blueprint Function Library or similar source files but you don't have to deal with it. You stay in the editor all time. 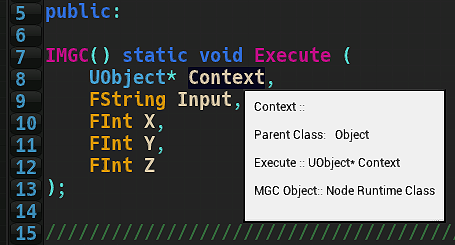 - Now you have a node with a Text field that you can edit the body of the C++ function. - When you click compile this node, UE send the updates to C++ compiler in some obscure place you don't care about. - And ready, your node is working with all the advantages of speed and optimization of native code. Woah, I just saw your signature in another thread and realized you have already released this. Last night while creating an array sorting example, I've added an option for anyone to change a node's class title color. Can't you use UHT's source? I don't know if that would help btw, because if it isn't exposed as UProperty or UFunction I don't know if UHT can even see those declarations. But I will lurk into UHT's source and try to find clues, thanks! There's helper functions to parse source code "tokens" in there, this is going to be useful! Last edited by BrUnO XaVIeR; 12-28-2018, 02:08 PM. Does anybody out there have experience in writing a parser for C header files? without using LibClang?? 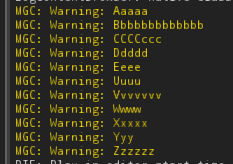 Yep, working just fine; testing again I've injected "_X" as if it was a variable declaration of AActor* and the thingy found it. Even if Bruno releases it for FREE we which know a bit or two of C++ and engine source could keep it alive as a community thing than an one dev only thing. Just a thought. No, just need to have it installed so Unreal can use HotReload with C++ Compiler... The project must be a C++ project, but I don't keep Visual Studio open at all. I don't think this is a replacement to Visual Studio. However some times I just want to make some foreach loops or write my functions instead of dragging wires around, but I don't want to wait for VS to launch either. I just want to write the function and see it there in the graph on the exact place where it's called without wasting time on extra steps such as creating function library classes. "Less time waiting for things to happen! 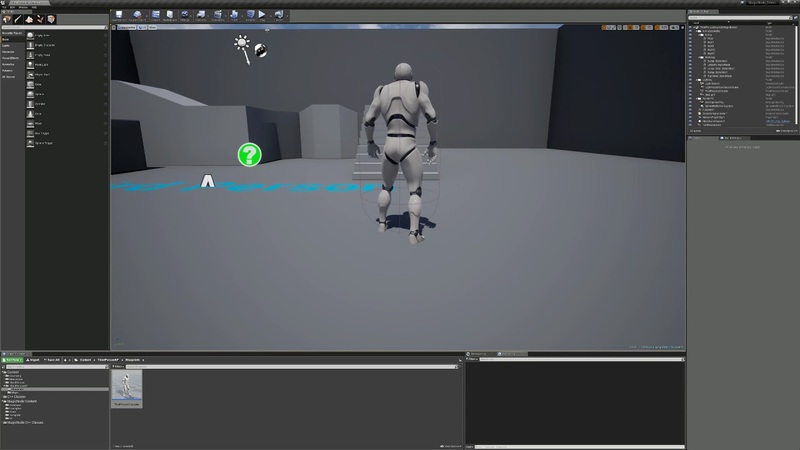 ", this is why I'm making this, I need to reduce time spent on the overall "coding" workflow, "less rocks on the way"
I don't have much experience with VS (I hated it since the first time I tried to use it) but from your gifs, we could do most of the stuff without opening VS at all using this. Imo this is more useful than just clearing some rocks. Because it allows to use all the functions unavailable to BP in BP. * I would need written permission. Some pieces of this plugin I wrote on my workplace which makes the company legally owner of this tool; they would have to allow me to make it public. Huh, didn't know about that. ...* And finally, there's the fact this isn't complete yet, right now it's more like something in "alpha" state. 1) Do you need to open VisualStudio in the background for this? 2) Can you do everything you could do in VisualStudio, I mean do we need to use VS after having this? 3) Is it possible to make this into a plugin and share/sell it, and are you thinking of doing that? In fact this is a plugin that I built and I could share it. * And finally, there's the fact this isn't complete yet, right now it's more like something in "alpha" state. Also, I'm not op but I wouldn't mind this kind of "flood"
The cost is exactly the same cost of calling a Blueprint function node. The difference is within a Blueprint function graph you can have another tons of nodes in there and each of those nodes add up another "Kismet call" cost. I can have over a thousand functions inside this node... The cost for a "Kismet call" is still going to be just 1. Everything within after that is C++ land. It's the only thing that the Kismet Compiler, well, executes.